BBQ Restaurants Arlington: Beat the Winter Blues With Barbecue! You may have seen that the Washington Post named us the #1 Barbecue Joint in the DC Area in 2018. It’s an accomplishment that we’re pretty proud of. We’ve worked long and hard to perfect our techniques and the end result is the best barbecue around. 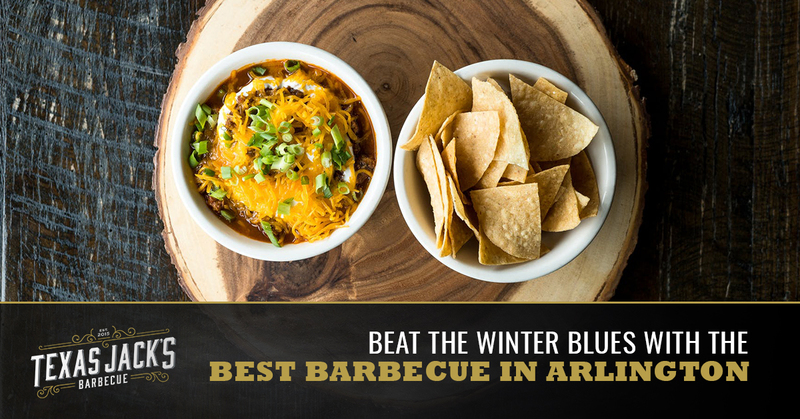 That’s why when the temperatures drop and the winter blues start to set in, the best cure might be a trip to Texas Jack’s! Smoked to perfection, all of the foods we offer are made fresh from scratch and our goal is to offer a meal that leaves you smiling and satisfied. Whether you’re craving some beef brisket, some loaded nachos, or a classic cocktail, we’ll treat you right. 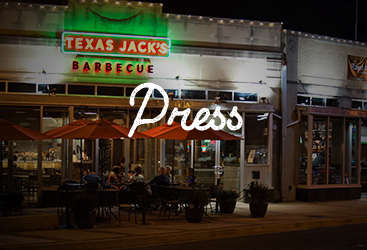 Hey, it’s what makes us one of the best BBQ restaurants in Arlington! Are you the type of person who tries something on the menu that looks good, ends up loving it, and then never wants to try something new? We can identify with that sentiment, but we have some good news for you — everything we offer is of the same high quality. In other words, it pays to try something new, because you just might find a new favorite. So what’s on our menu? How about our ‘87 Cutlass Supreme Nachos? They’re made up of corn tortillas, queso, salsa verde, salsa roja, sour cream, cilantro, and radishes. You can even add pulled pork, chili, brisket, or chicken to customize the nachos to suit your tastes! Other appetizers include wings in a variety of flavors, tortilla chips with queso, salsa, or guacamole, and side salads. The main event, of course, is our barbecue, and you’ll find beef short ribs, beef brisket, turkey, pulled pork shoulder, pork spare ribs, chicken, and beef sausage. As we mentioned above, everything on the menu is absolutely to die for! Fries with queso. Corn bread. Mac and cheese. Brisket chili. Collard greens. Esquites. Brussels sprouts. That’s just a taste of the sides that are available at Texas Jack’s. There’s also meat sampler platters, brisket sandwiches — that you can add a fried egg to, which we wholeheartedly suggest you try — double cheeseburgers, pulled pork sandwiches, and fried chicken sandwiches. 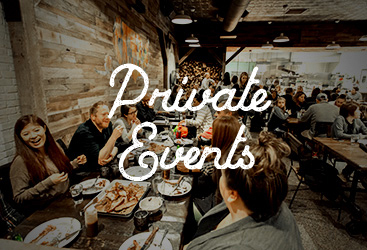 To get the full idea of what we offer, head on over to our menus page where you can see everything from our Happy Hour deals to brunch menus, lunch menus, dessert menus, catering menus — that’s right, we happily offer full service catering — and a drinks menu that will blow your mind. Whether you’re celebrating an event or you’re just in the mood for some really great food, Texas Jack’s is the place to be. Our goal is to provide you with exceptionally good food that puts a smile on your face, so come on in and let us do just that! 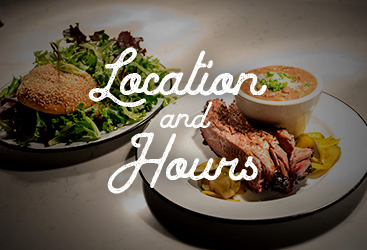 Check out our location and hours here, and make it a point to visit us soon. We look forward to seeing you, and you can rest assured that you’ll enjoy a wonderful meal served by friendly people.